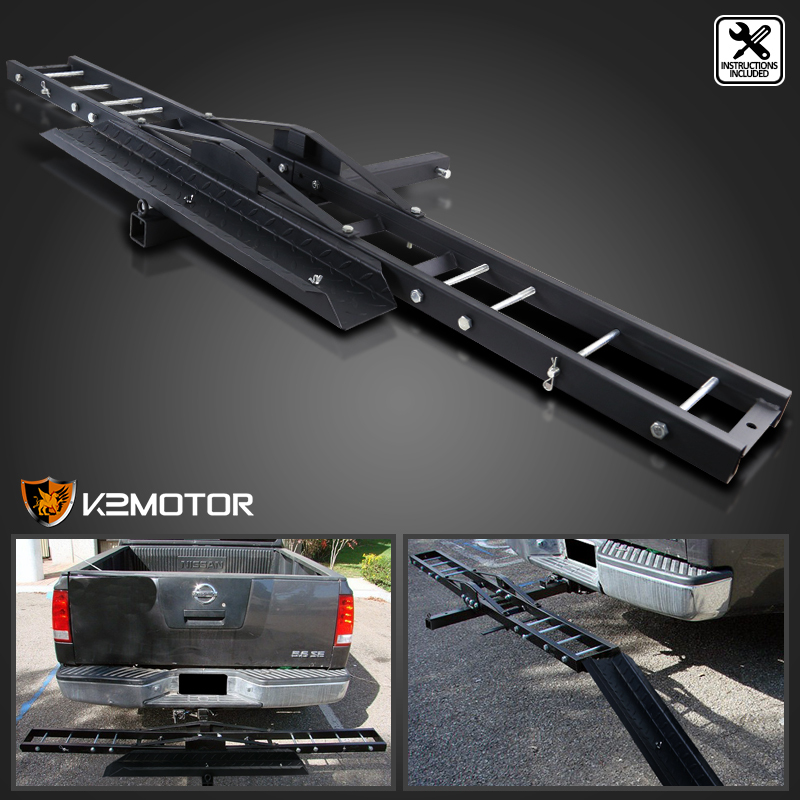 The platform dimension: 75" X 8"
The ramp dimension: 37" X 6.5"
Brand New Black Heavy Duty Hitch Mount Carrier. Heavy duty hitch mount carrier to transport your bicycles for outdoor experience. It offers anti-tilt locking device to prevent your bicycles from wobbling during travel. 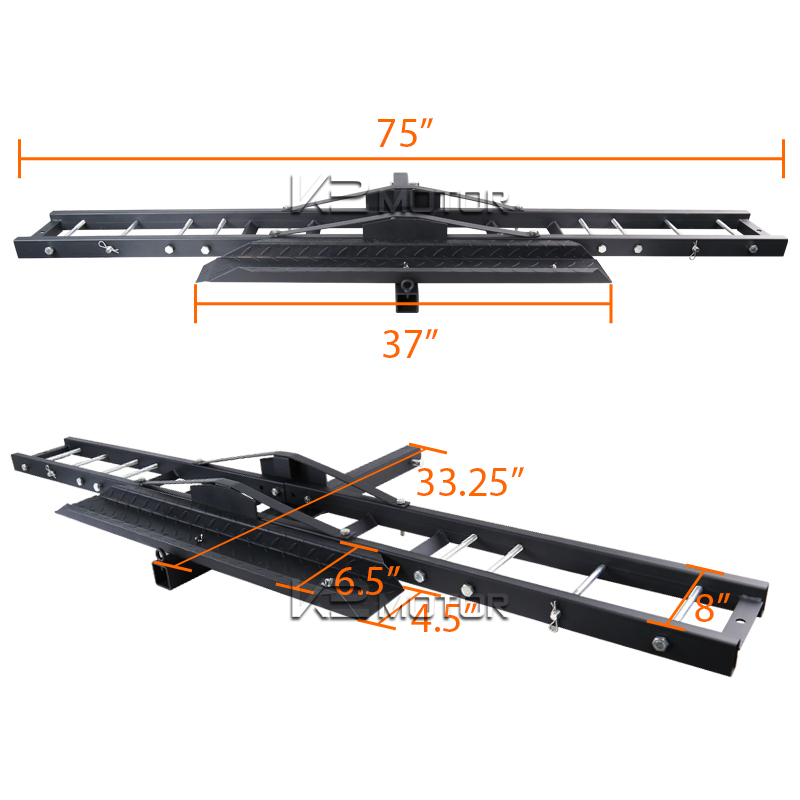 Installation instructions are included, but we recommend professional installation if you are uncertain on how to install.